ALBANY, NY (WSKG) – Gov. Andrew Cuomo is putting $7 million into his 30-day budget amendments to fund poll sites for early voting in New York by the 2020 presidential race. The funds would be used to set up at least one polling site in every county 12 days before Election Day so that voters can have several weekdays and two full weekends before elections to cast their ballot early. 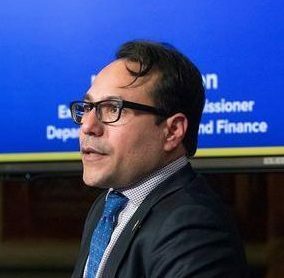 Cuomo’s budget director, Robert Mujica, made the announcement on Monday. The measure gives counties flexibility on choosing the polling site and specific hours that it would be open. Counties can even use their own Board of Elections offices as the location, if they choose. But it requires that there be one early polling site for every 50,000 voters, and up to seven early polling sites in each of the heavily populated boroughs of New York City. The move was applauded by government reform advocates, including Jennifer Wilson of the League of Women Voters. She said it’s a step toward improving New York’s “abysmal” voter turnout. She said the $7 million, though, is really seed money to get things started in time for the 2020 elections, and more money is needed to create and staff the polling sites. Under Cuomo’s plan, the early voting would begin in the off-year elections of 2019, where the races are local and turnout is lower, in order to work out any kinks in the new system. “We’ll need this money again next year,” said Wilson, who added that she also hopes voters can soon have the option to vote early by mail, though that would require a constitutional amendment. There are potential drawbacks to early voting, such as if something negative breaks about a candidate late in the race that might make voters change their minds. Wilson admitted that it’s a risk, but she said the expanded opportunity to vote is a greater benefit. The Legislature still has to approve the measure to permit the early voting. The state Assembly, run by Democrats, approved a similar early voting provision in 2017, but the measure has stalled in the state Senate, where Republicans rule the chamber. Democrats in the Senate back the idea, and have introduced a bill, but so far there is no Republican co-sponsor.